Carlotta Fontana Valenti is a recent graduate of UCL’s MSc In Building and Urban Design in Development. 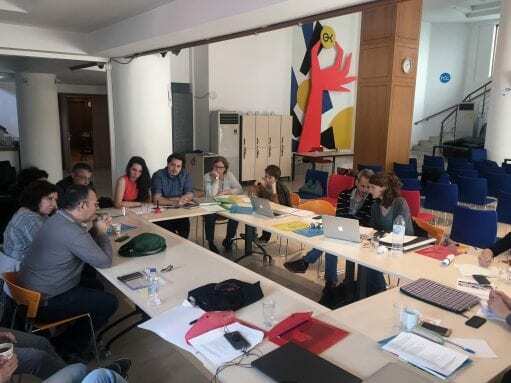 Here we repost her blog, ‘Refugee reception and housing practices in Greece’, in which she shares insights from a recent workshop bringing together UCL students with our partner OMNES and members of local government, to explore how to create better housing provision and inclusion for refugees in Greece. This is a short story from a contested place: the town of Kilkis, located 40 kms away from the border between Greece and the Former Yugoslav Republic of Macedonia (FYROM) where, as in other rural areas in Greece, the economic crisis brought unemployment and depopulation. 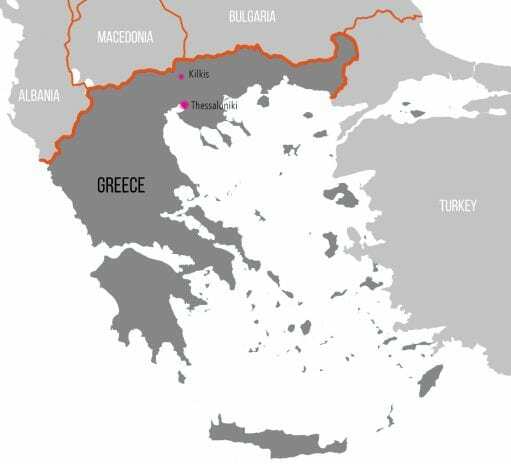 For its crucial location at the crossroads of migration routes, Kilkis has also been at the centre of the tragic events during the so-called refugee crisis of 2015. Over a mid-November night that year, Macedonia, Croatia and Serbia decided, almost simultaneously, to close their borders and modify the conditions of entrance to those in transit towards Northern Europe. Thousands of people found themselves stranded in a small village of 154 inhabitants. This is how Idomeni became the largest unofficial camp in Greece and remained such for more than a year. In the absence of international aid, activist and citizen groups were active in the area since the summer of 2015, providing basic assistance to those living in the camp or in transit. Lately in 2016, with the arrival of international agencies, two military-run camps were formed in the surrounding areas of Kerso and Nea Kavala hosting 4,000 persons each. Camp accommodation remains an inadequate and hopeless response to displacement, generating exclusion and contributing to increased physical and social segregation between residents and newcomers, preventing any form of encounter and reinforcing the narrative according to which displaced population constitute a threat to the local community. The unsustainability of the situation became evident to a group of local volunteers from Kilkis who soon started mobilising local resources to find a better solution to the crisis. 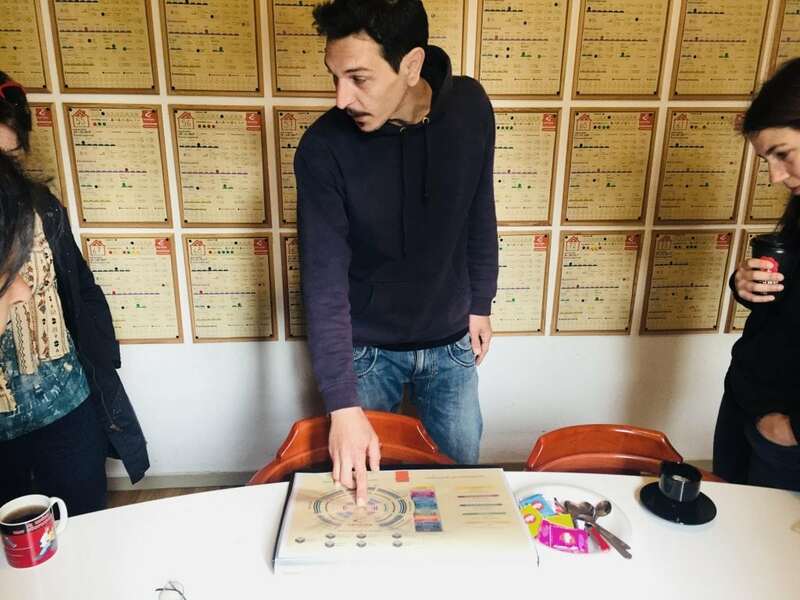 Capitalising on hospitality practices rooted in the history of the country (Greece welcomed displaced population after the fall of the Ottoman Empire and from the Republic of Turkey between 1918 and 1930), families in Kilkis opened their doors to refugees. OMNES’ holistic approach to inclusion recognises home as the core of physical, social and psychological wellbeing of its occupants (Dayarante & Kellet, 2008) with the belief that, by providing dignified housing solutions, people in transit become better able to find security and trust toward collaborating with the local community. The challenges to think differently the city, its design and its management in this era of increased migration and movement are great therefore calling for more action research to experiment solutions and policies that could inform new visions for city. The workshop, and the alliances that emerged with locally active NGOs Help Refugees, OMNES, Philoxenia International, Greek universities such as Harokopio, Crete and University of Macedonia in Thessaloniki, and the involvement in European pilot projects for Urban Integration (UIA Urban Innovative Actions) will be conducive to the development of a research proposal aligned to existing DPU projects led by Camillo Boano, Giovanna Astolfo and Ricardo Marten, including Refugee Cities and Borders and Camps. It also capitalises on and creates further opportunity for the annual BUDDcamps and the DPU SummerLAB 2018 in Athens. This blog was originally posted by the UCL Bartlett Development Planning Unit.